Your eyes have probably wandered countless times toward the horoscope section of a magazine or newspaper. A lot of people think that’s just a complete waste of space but there are those who anticipate what that section will reveal about how the day will unfold. These horoscope sections no longer just focuses on the astrological predictions, but most of them also include a set of digits referred to as lucky numbers. What are lucky numbers and what determine their luck? You know how those people who gamble get this wash of energy from certain numerical combinations? That’s not it…exactly. According to the Sieve of Eratosthenes, a lucky number is a natural number in a set which is generated by the “sieve.” For numerologists however, lucky numbers are those set by the universe to attract positive energy your way. To know your lucky numbers, you begin with your life path number, which is determined by adding all the numerals of your birthday. For example, you’re born June 28, 1991, the numbers will be 6, 2, 8, 1, 9, 9, 1. You add all these numbers, the sum of which is 36, and then you add 3 and 6, giving you the number 9, your life path number. Next, you need to know your expression number, which is basically the numerological equivalent of your name. There are only nine numbers in numerology. After the ninth letter, which is I, the numerological equivalent goes back to one, so the letter J is number one. For example, your name is Carol Kuhn, the numerological equivalent of your name is 3, 1, 8, 6, 3, 2, 3, 5; the sum of these numbers is 31. Then add 3 and 1, you get a 4; that’s your expression number. The third step is to determine your motivation number, which is obtained by adding the value of the vowel letters in your name for Carol Kuhn, that’s 10 then 1 + 0 is 1. Finally, get your birthday number which represents your special talents or traits. For the given birthday, it’s 1. Overall, your lucky numbers are 9, 4 and 1, which signify strong points like leadership qualities, stability, discipline and generosity. On the negative side, they represent impatience, being overly cautious and stubborn, egotistical and fragile. 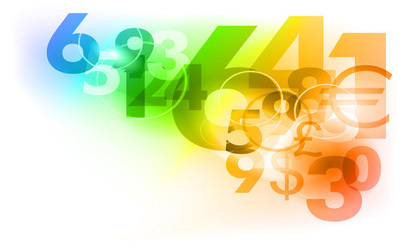 To further explore the power of your significant numbers, our free in-depth sample numerology reading can explain corresponding strengths and weaknesses.